WASHINGTON (CNS) — Exemptions from certain requirements for contraceptive coverage in the Affordable Care Act will be broadened to include many more types of religious institutions and accommodate the needs of self-insured church entities. 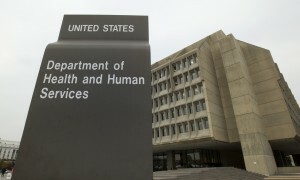 A new set of proposed rules announced Feb. 1 by the Department of Health and Human Services appear to accommodate many of the objections raised by Catholic institutions, among others, that said the previous rules would force them to stop providing employee health insurance because the federal requirement to include contraceptive coverage violate their religious beliefs. The expanded exemptions would cover religious institutions of higher education and charitable agencies that do not discriminate on the basis of religion as to whom they serve or employ. The proposed rules specify, however, that no exemption will be given to “for-profit, secular employers.” Some for-profit entities such as Christian-owned toy retailer Hobby Lobby have sued the federal government over the contraceptive mandate, saying that it violates the religious beliefs of the owners and the faith-based company outlook, and so they should be entitled to a religious exemption. While welcome,it is still the whim of this Federal Administration to give Pro-Life Americans a “waiver”. The next secularist Federal Administration may not grant a similar “waiver”. I believe all lawsuits against Obamacare’s pertinent provisions, here considered, should press on in the Federal Courts,to the highest level of definitive decision. In addition,I think Pro-Life Federal Legislators have a seminal opportunity to pass changes in Obamacare eliminating this Law’s fatal breach of Freedom of Religion. Only when both the Supreme Court has finally ruled and Amendments to Obamacare are signed Law may the better angels get on with God’s positive work in America.